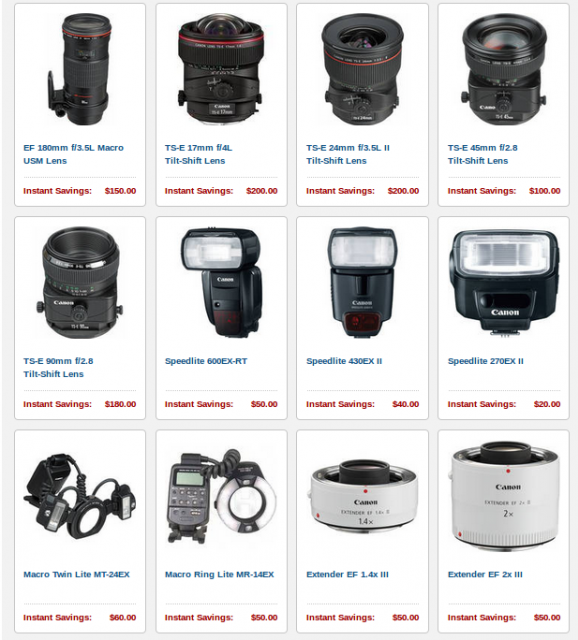 The Canon USA rebate program will lasts from April 14 - 27, 2013. 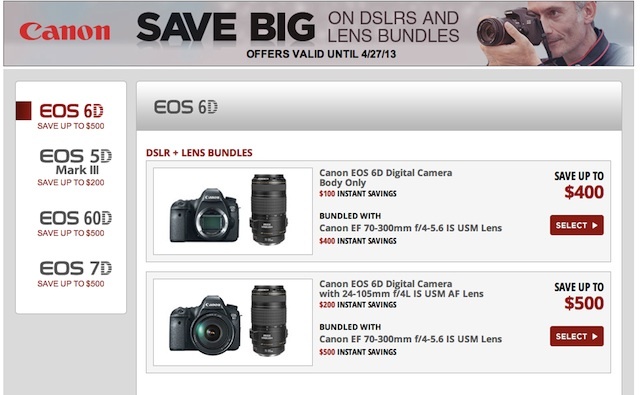 There are a few big camera retailers in New York that are giving even bigger discounts than the Canon rebates. 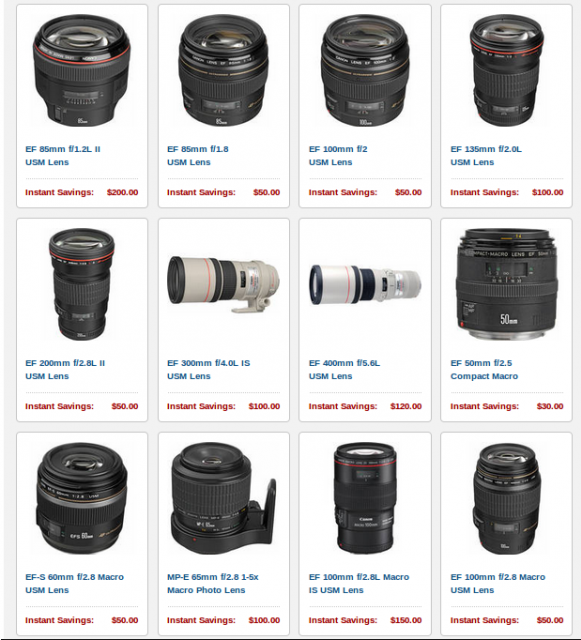 Visit your favorite camera store or online merchant now for their best deals and save. 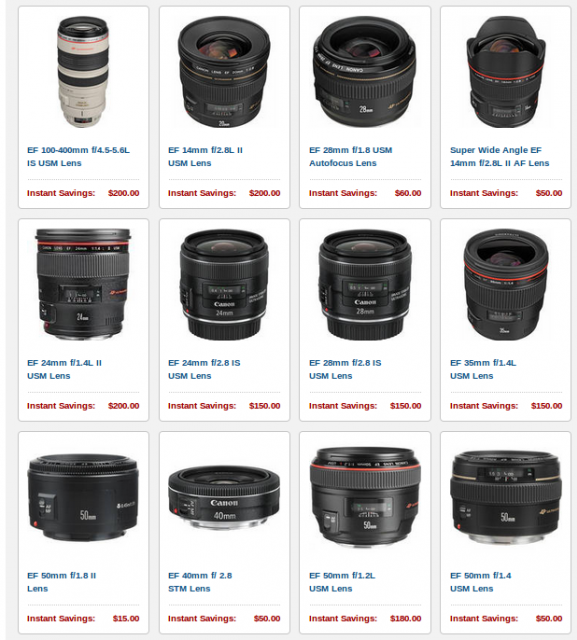 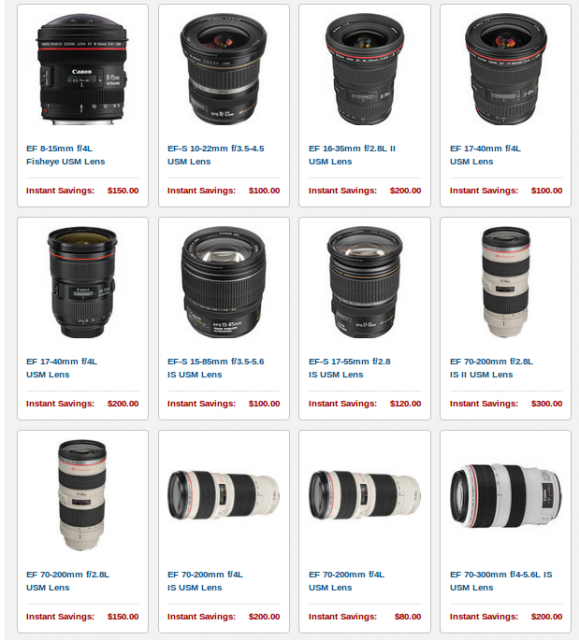 You can read my Canon recommendation post to get some ideas on these lenses.